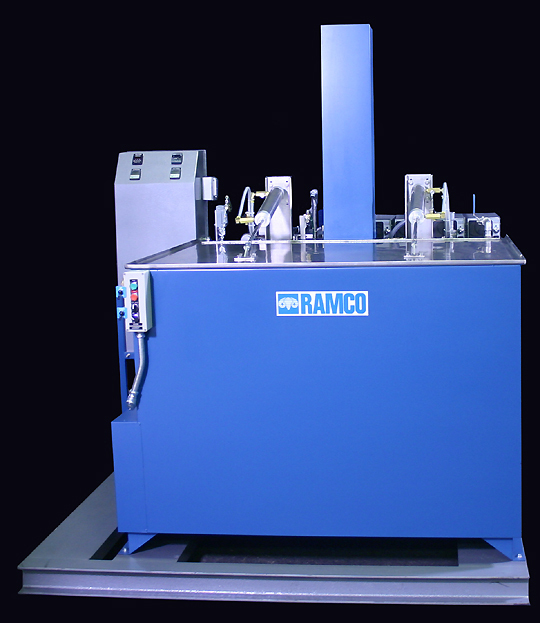 RAMCO has built many Dynamic Flow washing systems for precision cleaning applications. This Case History involves precision cleaning of various large housings and assemblies with delicate surfaces. The parts ranged in size up to 48″L x 36″W x 24″H. 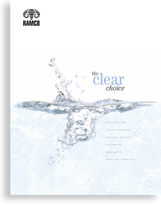 The process required oil removal, precision ultrasonic cleaning and turbo/agitation/filtration. The system has 8000 watts of ultrasonic power designed to effectively remove fine particulate from the substrate of aluminum housings without etching. Generators include power controls. The entire process is automatic. The operator simply loads the transport elevator platform and presses a start push button (see above). The elevator takes the parts into the working zone and runs the process. The cover automatically opens and closes in sequence with the elevator. 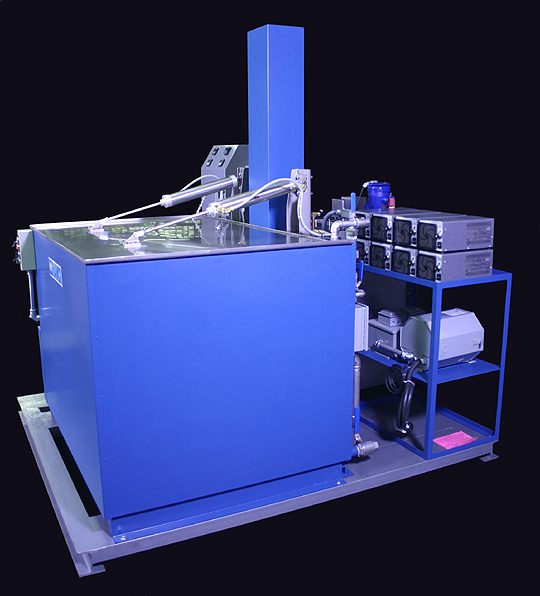 The customer wanted the entire system skid mounted for portability within the factory.